Romaji: Gekiryu~Watashi wo Oboete Imasuka? 35-year-old Keiko Misumi (Rena Tanaka) used to work at a publishing company, but suddenly was fired from her job. Takako Kawano (Ryoko Kuninaka) was very popular with the boys in middle school. She is now a housewife, but works as a prostitute on the side. Miya Akiyoshi (Rie Tomosaka) hoped to become a musician, but failed. 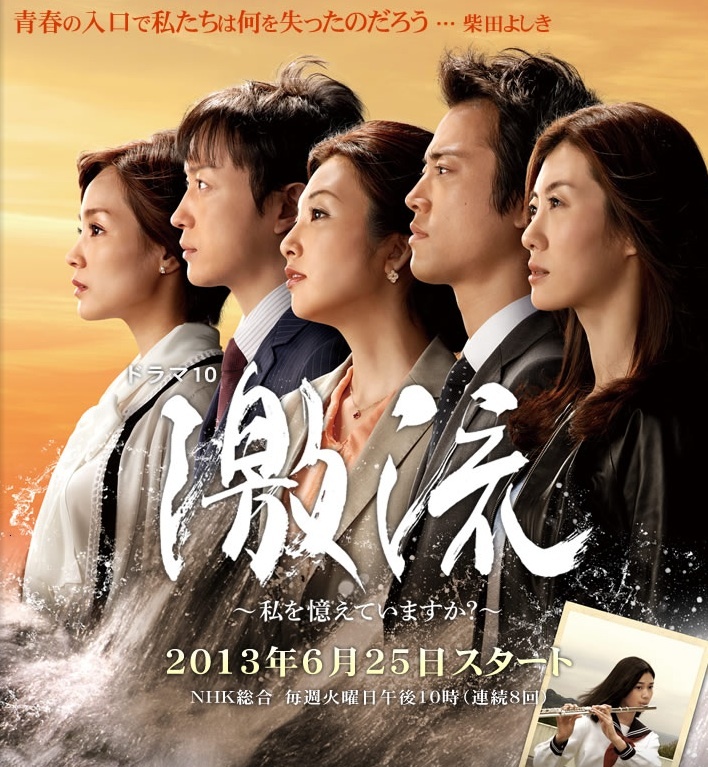 Koji Higashihagi (Kenta Kiritani) now works as a detective. Yutaka Sabashima (Koji Yamamoto) works at a bank and is divorced. These five former classmates now become involved in a strange case. Dark Max Aug 07 2013 2:31 pm The characters were developed slowly but surely through the episodes. The plot twist towards the end is interesting. It was a bit slow at first but I'm glad I stuck on.